Place steamer basket in IP with 1 cup of water. 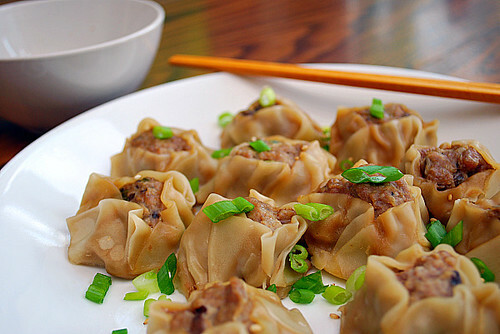 Place shumai in the steamer basket in a single layer. You can also steam multiple layers of shumai by placing a piece of parchment paper on top of the single layer of shumai and continue stacking the shumai with additional parchment paper with each layer. When the display reflects L0:02 (which is 2 minutes since the IP has beeped), turn the setting on top of your IP to VENTING. Doing so allows the IP to quickly release any remaining pressure (also known as QPR or QR). I use a wooden spoon to carefully turn the setting to avoid close contact with the potential steam. You may also want to turn your IP away from cabinets to allow the released steam to escape freely. The pin at the top of your IP will drop when all pressure has been released and it's safe to open. Remove shumai and garnish with green onions before serving.